Dr Jengo's World: Assassin's Creed Figures from McFarlane! 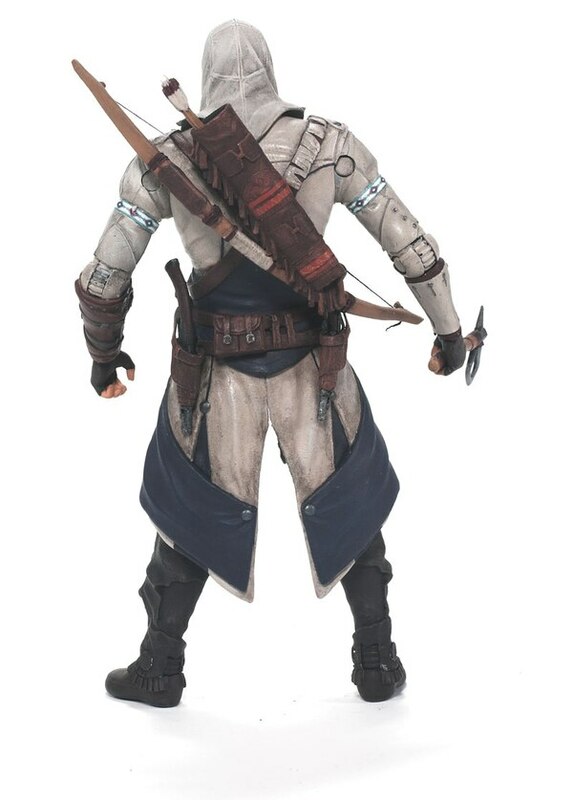 Assassin's Creed Figures from McFarlane! Saw this news and got a little excited initially.. But then it struck me.. Does that mean that NECA lost the Assassin's Creed License? I have the entire collection of Assassin's Creed figures from NECA. From the first Altair from AC1 till the AC: Revelations Ezio 2-pack. The collection has grown pretty huge and I'm really proud of them. 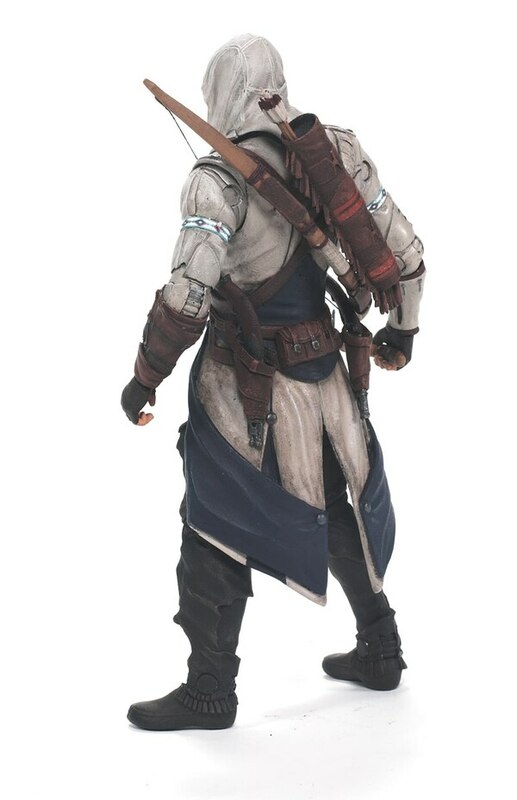 Now McFarlane taking the license for AC 3 figures..
What I hate about collections is inconsistency.. Of course, it still seems uncertain if the license is exclusive to McFarlane or if McFarlane will be doing the AC3 figures along with NECA's own line. I'm hoping it's the latter. I would definitely not say no to more Assassin's Creed figures! It will be really frustrating if NECA loses the rights to continue the Assassin's Creed figures.. I have posted on their Facebook pages to try and get more info so I'll update this page if I get any news.. Meanwhile let's take a look at the McFarlane figures.. This is the image that popped up on BBTS.. So we see Connor and Hatham Kenway. The bottom right is of "RATONHNHAKÉ:TON" which is actually Connor in the "Tyranny of King George" DLC. The last figure will be a mystery for now. My first guess was Altair (Old man) but the image says "Silhouette is not of actual character" so it may not be him. 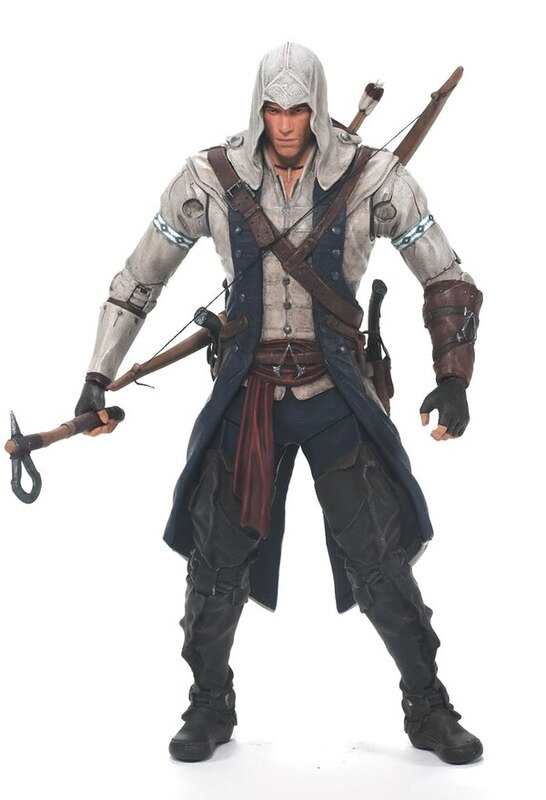 BBTS is taking pre-order for only these four figures with an expected release date of July 2013 however in the link below, it says that "Series 1 will include AC3's Connor, Haytham Kenway, and five other figures." Hopefully we will see more updates and confirmations, including a confirmation if NECA still has the license, in the upcoming ToyFair 2013. More pics on the Connor Figure..
Marvel Heroes MMO coming soon! Django Unchained stole my name! Valentine's Day Skins for Borderlands 2! Funny how this showed up..
GTA V postponed to Sep 17 2013!